To kick off the sales of Birmingham Fire and Rescue’s 2017 Magic City Heroes calendar fundraiser, the calendar models, pictured above, hosted a dinner Sept. 27 for the current Hope Lodge residents and their families. Photo courtesy of Hope Lodge. Journal photos by Maury Wald. Birmingham Fire and Rescue Service Department member Javier Crayton signed on with the department to help people in need. Last month he added model to his list of first responder duties. The department has released the Magic City Heroes 2017 calendar, which features a few of the department’s everyday heroes dressed, or rather undressed, in their battle gear. Sales of the calendar will raise funds for the American Cancer Society’s Joe Lee Griffin Hope Lodge. Though he has never considered himself a model, Crayton said the photo shoot was surprisingly entertaining. While he had a fun time dressing down for the photos, he said that participating was satisfying on another level because it was going to help the many cancer patients who live at Hope Lodge. Cancer touches everyone’s lives, Crayton said, and he is not immune, having lost his mother to breast cancer. Crayton is the calendar’s Mr. October, gracing the page for the month that is nationally recognized for Breast Cancer Awareness. To kick off sales of the calendar, the firefighters-turned-models hosted a dinner Sept. 27 for Hope Lodge residents and their families, getting an opportunity to meet the people they are helping as they acted as the wait staff and served dinner provided by The Fish Market. 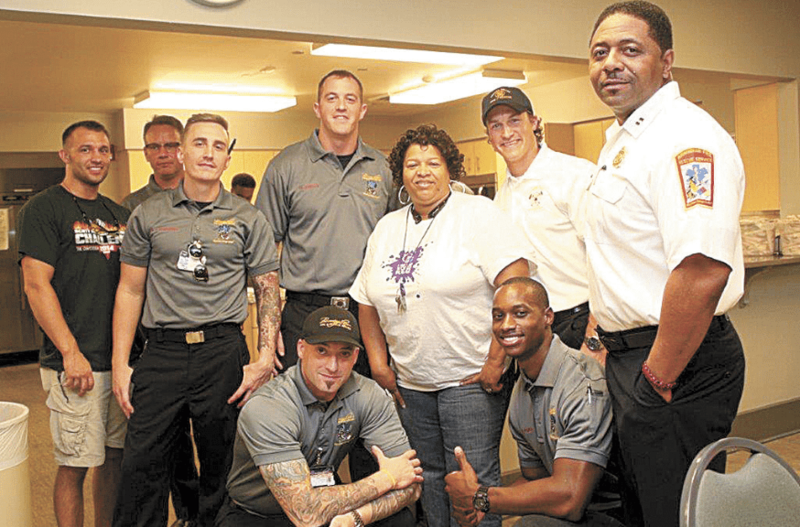 The calendar was introduced to the public Sept. 30 during the Southern Women’s Show Girl’s Night Out event at the BJCC, with each of the featured first responders taking to the catwalk to strut their stuff. Things got steamy and dollars were tossed, which Crayton said was all in good fun – and the dollars went to the calendar fundraiser. With the purchase of a $15 calendar, buyers are helping Hope Lodge continue providing cancer patients and their families a place to live while they are receiving treatments. 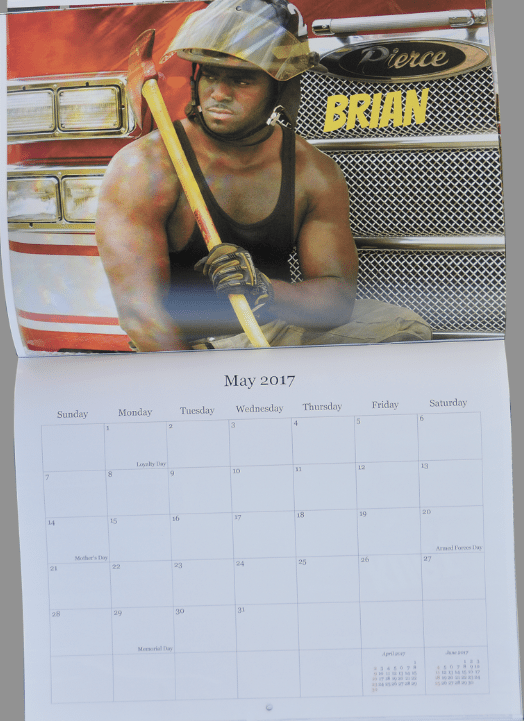 Calendars can be purchased through Jan. 31, 2017, and are available at Hope Lodge from 9 a.m.-5 p.m. on weekdays, online at cancer.org/2017firefightercalendar and on the “2017 BFRS Firefighter Calendar” Facebook page.